Mr. Smith has many years of extensive firearms experience and thousands of hours of formal advanced level firearms training. In addition to the previously listed certifications, Mr. Smith has also served as an armed security guard for The United States Department of Defense (SOCSOUTH), an Executive Protection Agent for several high end clients, and faithfully carries a concealed firearm at all times, and has done so for years. 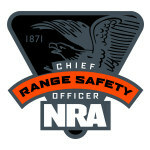 Mr. Smith is also an NRA recruiter and has cultivated and recruited dozens of new NRA members. Mr. Smith is also a proud NRA Endowment Life Member. Mr. Smith is a Founding Board Member and former Director of Training & Marketing of Florida Carry, Inc. (www.FloridaCarry.org) Florida's largest pro gun rights organization, as well as a member of Knife Rights (www.kniferights.org), GOA (www.gunowners.org) , JPFO (www.JPFO.org), FASCO, FALI, IALEFI. and ILEETA to name a few. Mr. Smith has trained in advanced firearms techniques from numerous advanced instructors and training companies, including Israeli Special Forces Training with Technon Tactical and Israeli Combat Training, firearms training with the Broward County (FL.) Sheriff's office, The Hallandale (FL.) Police Department, and NRA Law Enforcement Division. Mr. Smith has also trained with some of the best trainers in the industry including Dave Spaulding, Manny Kapelsohn, Tom Givens, Massad Ayoob, and John Farnam. Mr. Smith has also attended the IALEFI Training Conference, and the Rangemaster Tactical Conference. He has trained with Simmunitions and airsoft in force on force and in shoothouses. He has also trained on numerous different simulators including Meggit FATS, Laser Shot, TI Training, and more. Mr. Smith has taken many martial arts, H2H, and CQB courses. 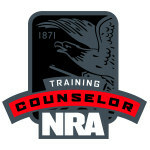 Mr. Smith has trained Thousands of people in the safe and effective use of Firearms, including military and law enforcement, and continues to take 3-4 courses a year as a student, so as to stay abreast of the latest techniques and developments in the training community.